There are countless survival preparedness items (preps) that you can store ahead of time (before potential disaster), for your use during and after the emergency or disaster (or total SHTF). The following are 55 preparedness items or categories which are randomly listed, and are not all inclusive in any way. In fact, the list is intended to be fun, to get you thinking outside-the-box about your own needs for preps. 1. Toilet Paper , and other sanitation items such as feminine hygiene products, diapers for infants, etc. These are items that should be mass stored if possible. 2. Paper Towels . Too many uses to mention, store as many as you can. 3. Coffee Filters . For those drinkers of coffee of course, but these are excellent filters for many other purposes. 4. Trash Bags . All sizes. You can also store many free plastic grocery bags from the store every time you get them after shopping. Important for bagging up refuse and preventing disease. 5. Zip type Freezer Bags . Lot of uses. 6. Coolers , various sizes. If you have room, can be used to keep things cool or cold, but also used to keep items from freezing in very cold weather. 7. Shovels . All sizes from small garden type to those used for digging. Very important to have after a disaster. 8. Soaps and Cleansers . Sponges and other scratchy pads. You are likely not going to have a dishwasher after a disaster and you have to have some means of cleaning pots, pans, dishes. 9. Cotton Rounds. First aid uses, Excellent Fire-starter (mixed with Vaseline). 10. Paper to write on. This includes note pads, index cards. 11. Pens and Pencils , especially the click pencil type that don’t need a sharpener. 12. Rubber bands . This also includes hair bands. Used to keep items organized and from flying apart. 13. Tape . All kinds from duct, masking, electric, to scotch. Many uses. 14. Sewing Kits . Threads, needles, buttons, zippers, you are going to need them. 15. Matches . Keep them dry and store lots of them. 16. Salt . You won’t believe in certain areas how hard it is to get this necessary mineral for survival. Store as much as you can. 17. Aluminum Foil Wrap . Good for cooking and many other uses. 18. Candles . All sizes. 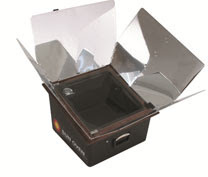 Not only for light at night, but can be used to heat small items up in small cookware. 19. Can Opener . Without many of these you will have a bad time trying to get your canned food out. 21. Handyman’s Hardware Assortment . Assortment of screws, nuts and bolts, wire, nails, etc. Store in clear jars with lids or in original packages. 22. 5-Gallon Gas Can Containers . These can be used for gas or other fuels as well as for water that are durable. Obviously, never use for drinking water if they’ve ever been used for gas! 23. Round Magnifying Glass . Use to see small items (optical glass is best), or to start a fire if matches are wet or out of them. 24. Envelopes . All sizes for storage. Smaller for seeds you can get from the wild as one example. Tough postal envelopes are also good for storage after a disaster. 25. Boxes . You are really going to need this if you have to suddenly move somewhere quick for clothes and other items. Many grocery stores will give you free fruit boxes that are sturdy and have lids. Also large plastic boxes with lids. 26. Shoe Laces . Many people have shoes that are still wearable and need shoe laces. Shoe laces are also good for tying off material with other purposes. 27. Paper plates , plastic eating utensils , disposable drinking cups . IF you can store enough, excellent way to save your soap supplies by not having to wash the dishes. 28. Blankets , sheets, pillows, pillow cases. Just because you are in emergency does not mean you have to live like a refuge. 29. Towels . All sizes from hand to bath. You will be very grateful to be able to dry yourself off with something you are use to. 30. Fishing line and string. Lots of uses. 31. Nylon rope , cord, clothes lines. Do not be without. 32. Toothbrushes , dental needs, dental floss. Even without toothpaste you can still keep your teeth healthy. 33. Q-tips / Cotton Swabs . Not only personal use, but uses for fine detailed work. 34. Honey . 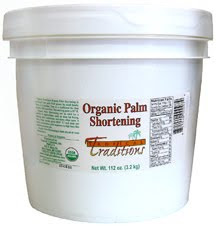 Lasts practically forever and a good sweetener for many foods. 35. Trigger spray bottles . Use to disperse insect repellent as one of many uses. 36. First Aid Kit . 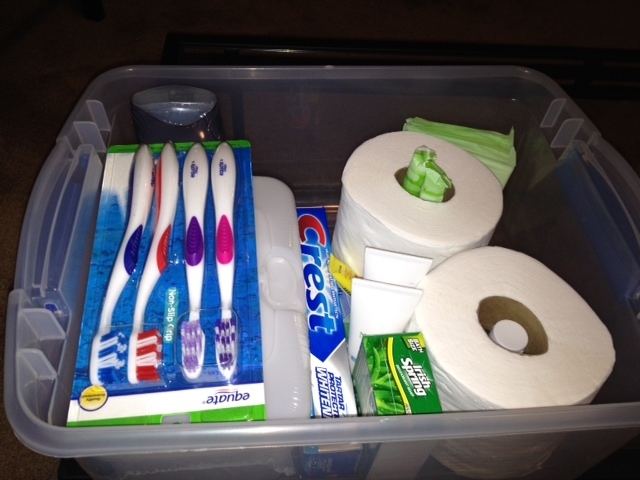 Most items such as bandages, gauze, tweezers, nail clippers, scissors, wrapping tape, etc. can be stored without rotating. Keep more first aid supplies than you think, because they can get used up very quickly (extra gauze – 4×4′s, 2×2′s for changing dressings). 37. Firestarters or Newspaper. Yes, newspaper for starting fires, wrapping delicate items, insulation. Keep dry and preferably in sealed boxes. 38. Safety Pins . Fastening of almost anything that has broken. Bobby pins also good. 39. Sunglasses . You will really need to protect your eyes after an emergency, glare is something that people forget about if they have to be outdoors for extended periods of time. 40. Hats . One size fits all baseball type caps, scarfs, ski caps. A lot of heat is lost through an uncovered head, also sunburn. 41. Gloves . So important, from keeping hands warm to protecting your hands from hazards such as broken glass and much more. 42. Extra Clothes . Especially well-made rugged pants and other clothes that will wear well. Don’t forget the extra comfortable shoes, socks, underwear, warm jackets. 43. Small handheld Mirror . For signaling, but also for personal grooming. 44. Cloth grocery tote bags. Reusable. A very good way of collecting things and supplies such as food from the wild. 45. Stapler with plenty of staples. Also paper clips to seal off small items and fastening paper. Your package of survival seeds as for example. 46. Extension cords. You may actually still have electricity from some source such as a generator or solar panel system. Routing power to other appliances or tools can only be accomplished with an extension cord. Can be used as a substitute for light duty style rope also. 47. Brushes. From nail, paint, to hair brushes. One good use for a hair brush is removal of ticks, fleas, burrs, from clothing. 48. Tape Measure. Measurement tools, rulers, very important to know distances and measurements for building, etc. 49. Games. Boredom is awful, and a simple deck of cards, boardgames, something to take up time if confined after an emergency. Great for the kids too. 50. Survival Books. Anything that will give you information and instructions on survival, cooking, plant identification, map books. Your bookcase may not be around after a disaster, store information you will need someday. 51. Wind up clock. Your battery operated clocks and watches or other time telling instruments are someday not going to work. A wind up clock is better than using a sundial. 52. Plastic storage containers. Ziploc, Tupperware, Rubbermaid, anything that can air seal something. All sizes. 53. Sticky notes. Use to label what you have after the disaster. Secure it better with scotch tape if you want. Lots of uses. Leave notes for others. 54. Safe for your cash. Cash money may be the only way to buy anything immediately after a disaster. Good for holding silver and gold coins too. 55. Heavy duty tarps. Many sizes and inexpensive. Cannot emphasize how many uses these have, and can be folded up and stored in smaller spaces. Be sure to look for heavy duty. Note: This prep list was NOT intended to be a complete list (which does not exist – it’s an endless process,) and it was NOT intended to resemble a list of essentials. But instead it will hopefully get you to thinking about your own readiness and supplies, to expand your thinking. Start your own list! If you’re not sure how to get started, one idea when thinking of your ‘list’, is to think in categories. That’s mostly how I do it. For example, think of kitchen items and then list priorities in that category. Think of shelter, clothing, food and water, tools, sanitation, security, transportation, etc… think ‘categories’ and then narrow it down within each category. Start with food and water!